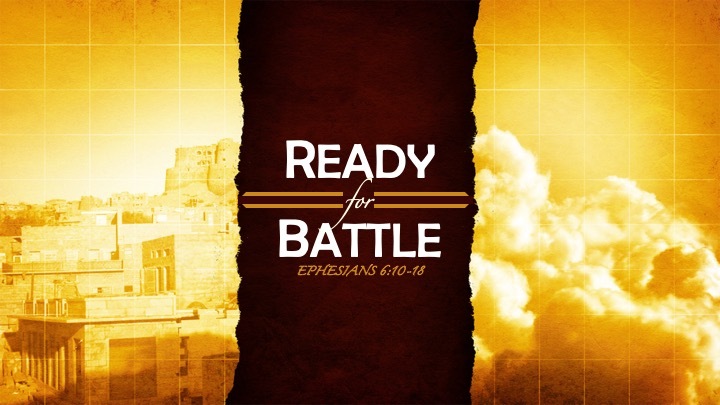 This week we continue with part 3 of our sermon series “Ready for Battle” and our look at Ephesians 6:10-18. As we saw last week Paul tells us four times in this passage to stand our ground (vs. 10, 13, and 14). The image Paul is painting for us is quite clear. We are to stand strong, without compromise and never giving in as the spiritual battle around us rages on. Here in verse 15 he tells us that we are to put on, "as shoes for our feet, the readiness given by the gospel of peace.” If we are being told to STAND firm and to hold our ground, firmly planted where we are without giving in, wouldn't you think our choice of footwear would be pretty important?! "Finally, be strong in the Lord and in the strength of his might. Put on the whole armor of God, that you may be able to stand against the schemes of the devil. For we do not wrestle against flesh and blood, but against the rulers, against the authorities, against the cosmic powers over this present darkness, against the spiritual forces of evil in the heavenly places. Therefore, take up the whole armor of God, that you may be able to withstand in the evil day, and having done all, to stand firm. Stand therefore, having fastened on the belt of truth, and having put on the breastplate of righteousness, and, as shoes for your feet, having put on the readiness given by the gospel of peace." 1. While describing the armor that will ready us for battle, Paul tells us to wear as shoes, the readiness given by the gospel of “PEACE.” What is it about the “readiness” of the gospel that is so significant? 3. What are some signs that we are growing in our dependence on the gospel? How might we encourage one another in this? 4. How does a stronger hold on the gospel ready us to stand strong in the Lord against the real enemy (6:12)?